Motorola on Thursday pulled the cover back on the successor to last year’s well-received Moto Z Play smartphone and a handful of new Moto Mods – modular accessories that expand the functionality of the smartphone they’re attached to. 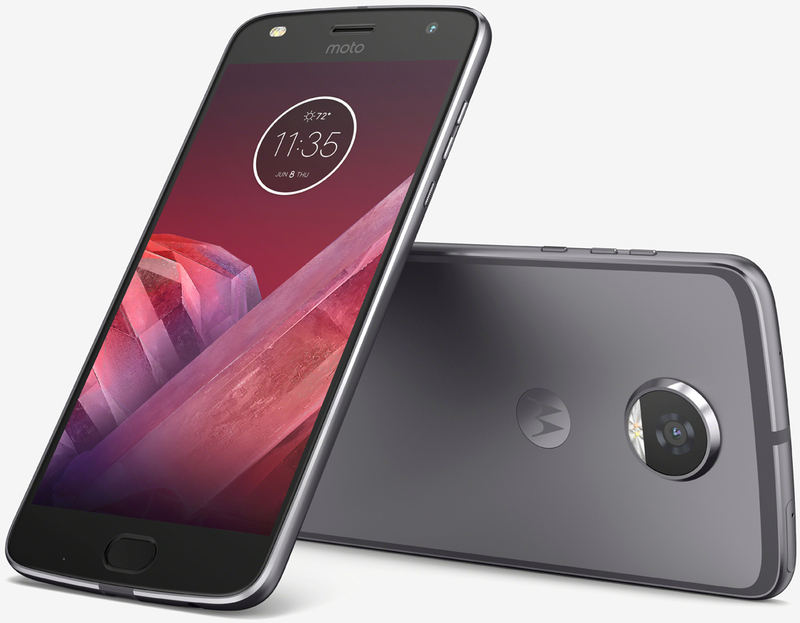 The Moto Z2 Play is a mid-ranger with a 5.5-inch, 1080p AMOLED display that’s powered by Qualcomm’s octa-core Snapdragon 626 processor clocked at 2.2GHz and up to 4GB of RAM. Other goodies include as much as 64GB of local storage (expandable via microSD card slot), a 12-megapixel rear-facing camera with f/1.7 aperture lens and a 3,000mAh battery. It’ll ship running Android 7.1.1 Nougat in your choice of gray, blue or gold colors. Look for it to arrive as a Verizon exclusive later this summer starting at $499. Motorola’s new modular accessories, meanwhile, include the Moto GamePad, the JBL SoundBoost 2, the Moto TurboPower Pack and the Moto Style Shell with Wireless Charging. The Moto GamePad transforms your smartphone into a handheld console complete with dual thumbsticks, D-pad and four action buttons. There’s also a built-in 1,035mAh battery for added longevity because as we all know, gaming can quickly zap your phone’s battery. The second-generation SoundBoost 2 features dual 27mm speakers (3W each for a total of 6W of power) with a frequency response range of 200Hz – 20 kHz, a water-repellent coating, a built-in 1,000mAh battery that offers 10 hours of play time and a more premium design with fabric and improved contours for a better feel in your hand. Motorola’s new TurboPower Pack is a 3,490mAh add-on battery pack that takes the shape of a phone back. It’s USB Type-C compatible and can be recharged to 50 percent capacity in just 20 minutes. The Style Shell, on the other hand, is billed as a quick way to add some flare to your phone but it’s not just about style as it also enables wireless charging capabilities. The new Moto Mods will be available this summer. Expect to pay $79.99 for the GamePad, SoundBoost 2 or TurboPower Pack and $39.99 for the Style Shell.